The Loved-Hated Week in This Winter | PARE MEMBERS' CHAT ROOM! I do loved and hated this winter week more than other. Why? Yup, last week is the important date for Hokkaido, especially in Sapporo. 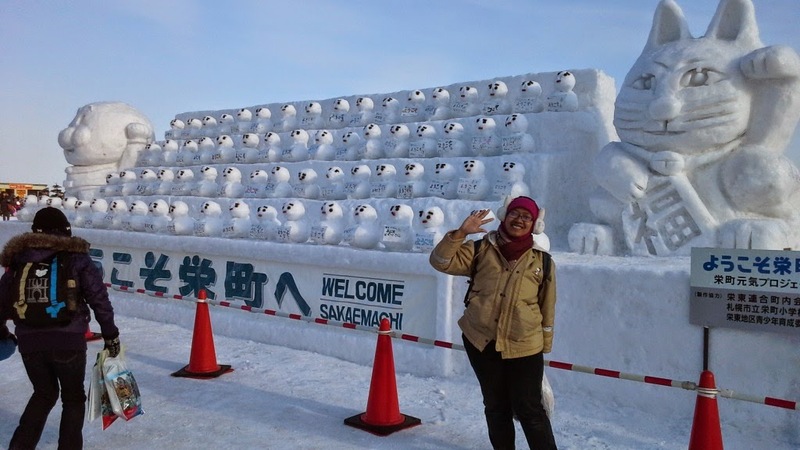 Starting from 5-11 February 2015, Yuki Matsuri or Snow Festival had been held in Sapporo-Hokkaido. This event is starting from 1950, and it was developed until the 66th in 2015. On this year, the event held in 3 place, Odori Park, Susukino, and Tsudome. In Odor Park, beside seeing the snow sculpture, there are music concert, skate rink, park air jump (the snowboard and free style ski performance), light show, cross country skiing course, scrumptious food, and international snow sculpture contest. 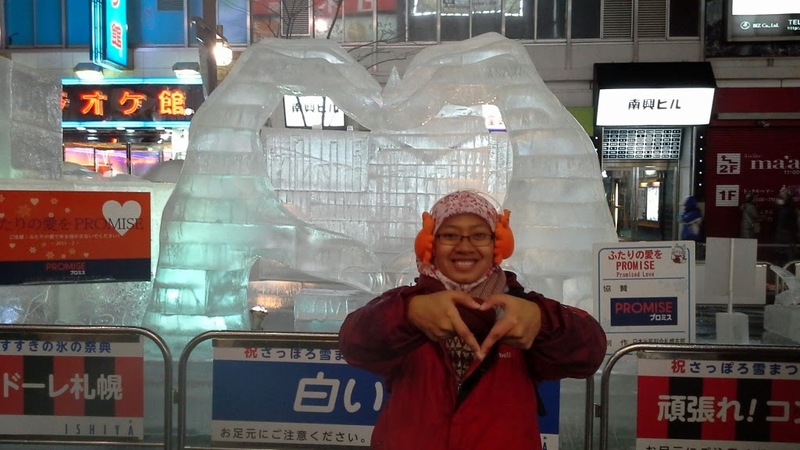 In Susukino site, we can see the ice sculpture and enjoy the hot drink in Ice Bar. 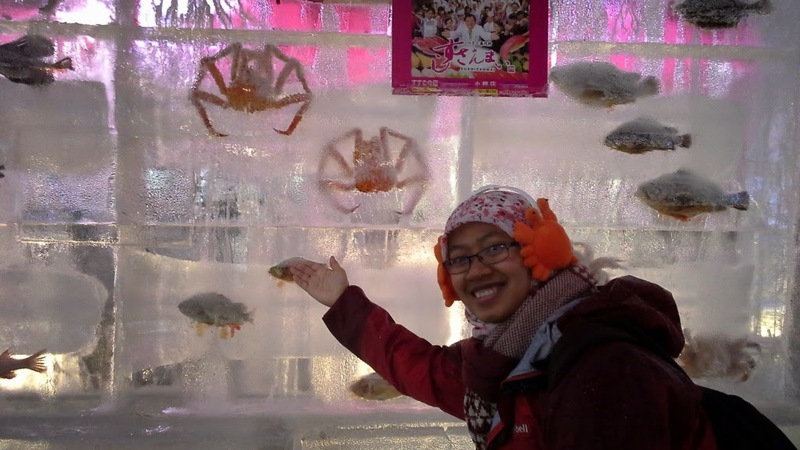 For the last site, Tsudome, we can enjoy the winter game and sport, such as sliding. There are 3 sliding sites, they are tube slide, ice slide, and waku-waku slide. 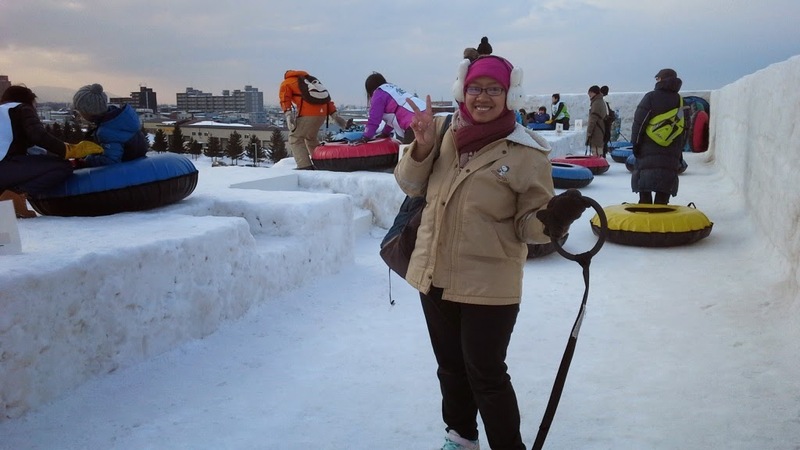 We also can play in other sites such as bamboo ski, snowman labyrinth, snowman making, snow rafting, snow zip land, etc. And, “yatta” I got my foot stamp in all 3 sites. One more experience about winter, it is bout winter sport, ski. Yup! Finally I have this experience. I did country ski with International Citizen Association in Ebetsu. We passed the Napporo Forest Park in the shortest distance about 1 km (maybe just in the outline of the forest). But, we spent about 1 -1.5 hours to finish the track. The first time, I just thought that it will be easy, because we are not skiing from the mountain, but it’s not that easy. I was the first person that fall after just “sliding” in 2 meters from starting point. The hardest part is to wake up from the ground after falling down. Our feet were attached hard in the board, so it is difficult to move. The trainees was Japanese persons, actually they are just the member of the association, but they do really expert. They are coaching us very well with their limitation in English (but some of them are very major in English). So, after 7 times felt down, finally I felt that I am majoring country ski now and I was really enjoying it. After getting some sweat from country ski activity then we have warming party, takoyaki cooking, Setsubun festival, and enjoying Koto Music performance. Wohooo,, what a great holiday. Not only that, in this winter season (although I still have many experiment in the lab), finally I can go to 2 the most places that I want to see in Hokkaido, they are Otaru and Hitsujigauka Observation Hill. 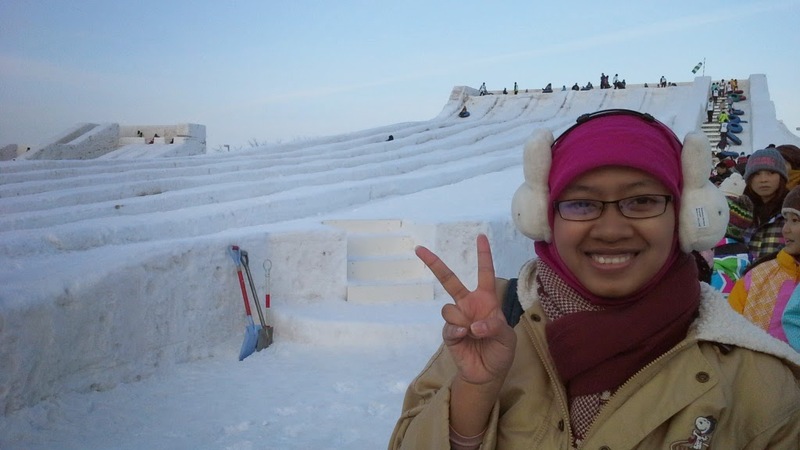 In those two site, there also some snow festival and snow activities. Such as in Hitsujigaoka, it was held snowman making, cross country ski, snow bowling, snowball war, etc. In Otaru, there are candle fastivals. So, in the Otaru canal and some main road, some snow sculpture has made and they put the candle as the light in the night, and it is very beautiful. The candle festival in Otaru will be held until Februari 15th 2015. What a golden week! 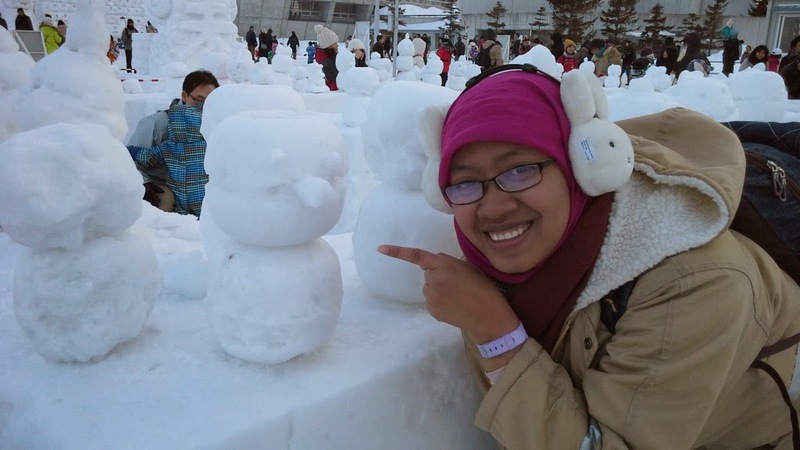 Now, I knew the feeling how to love and enjoy this cold season (sometimes I felt bad for this season), by having the snow festivalJ. The festival that will not held in my beloved country Indonesia. After having fun in 3 days, travelling and enjoy winter festival. This week also, some of PARE students come back to their country (They are just back on Feb 11th, 2015). From Indonesia, Caca, Mada, Ria, Rara, Dailami, Philip, Sugi had made their return to Indonesia. It is very sad. But, that’s the reality, and soon I, Nisa, Sofa, Ulfi, and Yeni will come afterward. Hmhm,, yup, I hate to know this fact. Sometimes, you have to leave but you don't want.. But, this is the fact that I have to accept.. Ganbattene!!! The 1-month left is very great chance for me, for completing the research and also for (still) enjoying Japan’s life. Hope I can do my best. 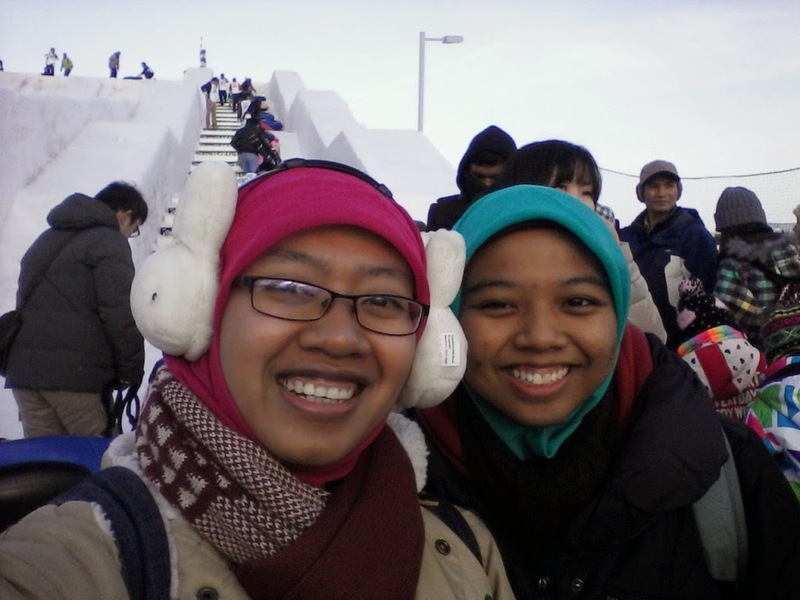 This entry was posted in Hokkaido, Sapporo, Sapporo Sightseeing, Snow, Winter, Yunita Siti Mardhiyyah . Bookmark the permalink.